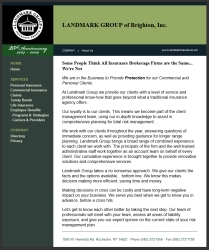 Client: Landmark Group of Brighton, Inc. 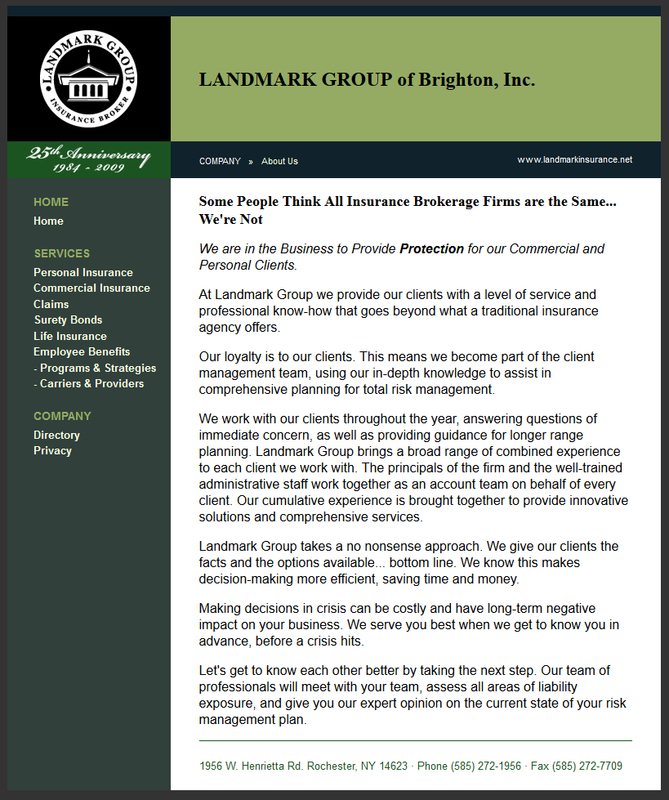 Landmark Insurance asked for a clean, simple, and straightforward presence on the Internet. They gave me all the content in plaintext format and I turned it into a website.